This week's theme is Animal Attractions! ♥Our love of all the wonderful Disney animals seen in the parks, movies, cartoons and books. ♥The internationally famous and my favorite dog show, The Westminster Kennel Club Dog Show, which is being held today in NYC. 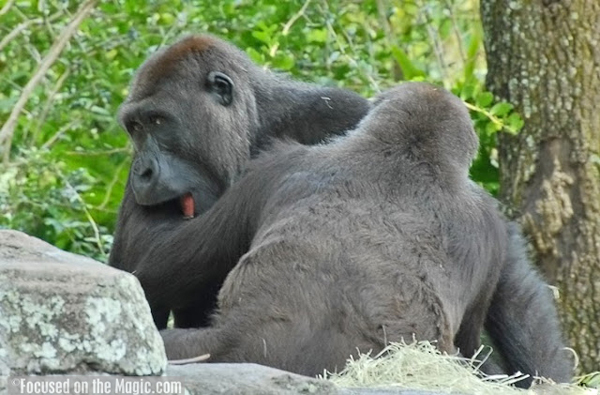 ♥ Animals that are attracted to each other, such as couples. ♥Attractions in the parks that feature animals. ♥ Animals posing during a Meet & Greet. ♥Animals you may find at the parks that are attractive. You don't have to post along with the theme, but it does have to be Disney related. Non Disney related links & linkies will be deleted. Be sure to follow us on Facebook, Twitter and our weekly recap on Saturday, where all upcoming themes are announced. Please leave comments as you hop and don't forget to leave comment love here :) I love hearing from you! Great pics, as always! You'll be surprised to see (in the a.m.) that I followed the theme! 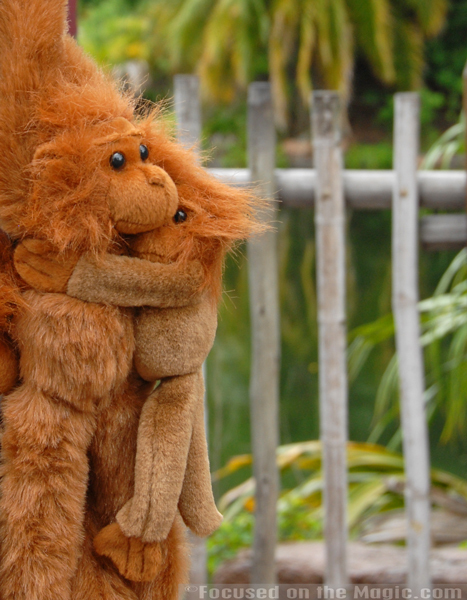 I just love the Monkey love! That is so cute! :) Wonderful pictures! 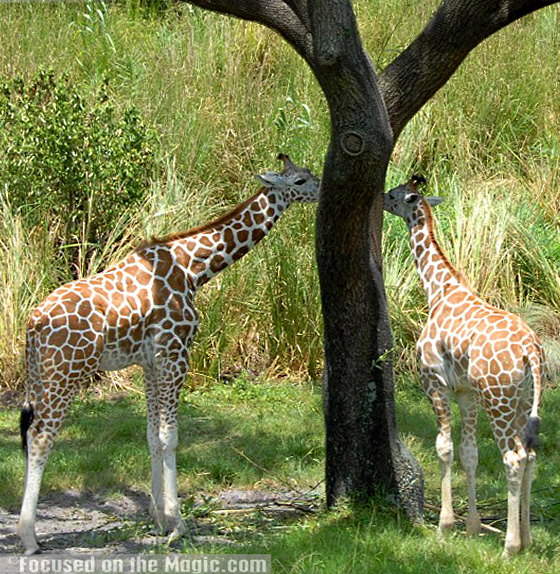 What a wonderful shot of the giraffes! I am never so lucky to get shots like this on the Safari. The giraffes are too cute! Thanks for sharing...and hosting! Bucked the theme this week. Thanks Jenn, I love your theme pics! Seeing the lions active is so rare and to get a good shot is almost impossible! Those drivers seem to speed up around the lion enclosure! These pics are so wonderful! Love the giraffes! :) I couldn't find any animal pics that I liked for this week, but yours are awesome! :) Thanks for hosting the hop! I love the Giraffes they are beautiful, very cool shot of them. Animal Kingdom is awesome.. The giraffes are just the cutest! I can't get my link to work from the linky here. Not sure why...but when I click on it, it adds some goofy characters to the end of the URL which results in file not found. ? Wow... the giraffe shot looks like it belongs in a brochure!